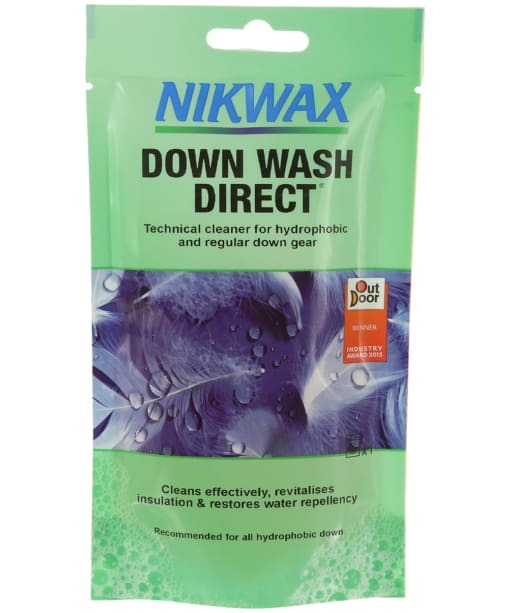 Nikwax Down Wash Direct 100ml is an essential item that will restore the water repellence to your favourite down items. As your down filled coat or gilet is worn, it will naturally gather a layer of dirt that can prevent the water resistance from working to its full potential, simply wash your items with this non-hazardous, water-based solution in a washing machine or by hand, to maintain the loft, fill and insulation properties, keeping your items, warm and comfortable. Perfect for increasing the longevity of your favourite pieces, Down Wash Direct will also restore the breathability element. 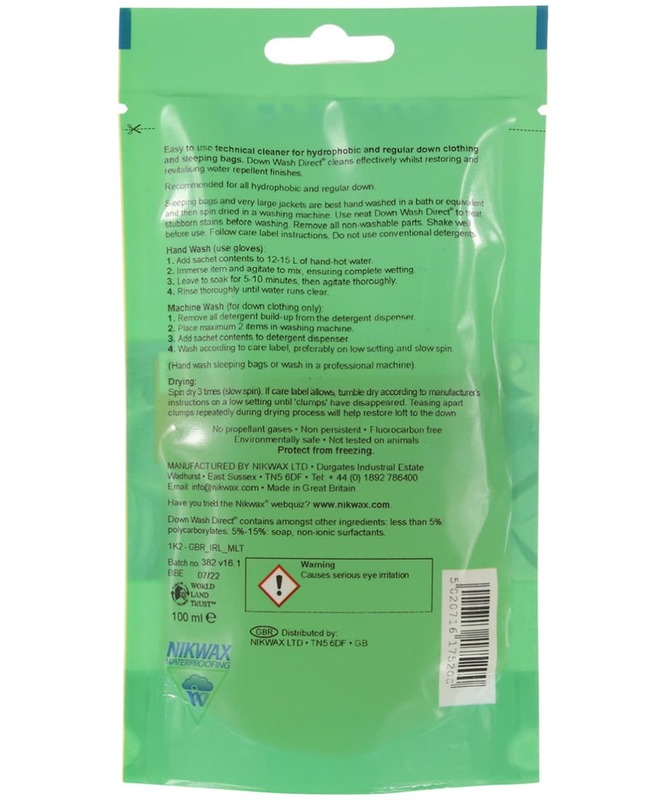 This convenient wash in formula can not only be used on hydrophobic and natural down clothing items, but can be used to hand wash your down filled sleeping bags to keep them cosy. Nikwax Down Wash Direct is environmentally friendly, biodegradable and is manufactured in the UK.